Getting in touch with us is quick and easy. 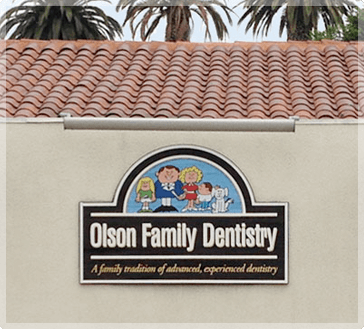 The friendly staff of Olson Family Dentistry, located in Placentia, California, is here to answer all of your questions about becoming a patient. Plus, we have plenty of free parking for you at our office. Don’t wait another day for the quality, compassionate dental care your family has been searching for. Your one-stop location for general, cosmetic, and restorative dental care is just a phone call away. Contact us today at (714) 993-3610 to schedule an appointment, or you can use our secure online appointment request form. We are conveniently located next to the Placentia post office, one block south of Kraemer and Yorba Linda Boulevards. We offer flexible hours for your convenience, with prompt appointments and minimal wait time. In the event of a life-threatening medical emergency, call medical emergency services at 911 immediately. DO NOT WAIT! If you have a non-emergent after-hours problem, call (714) 993-3610 and our dentist on call will respond to your message. Your dental needs should never be put off due to cost concerns, and waiting for treatment usually results in more expensive and complex procedures than necessary later on. At Olson Family Dentistry, together we’ll create a timeline of dental care for your entire family — what needs to be taken care of right now and what can wait to be done in the future — without overloading your budget or your schedule. We gladly accept most major insurances that allow you to choose your own dentist, and we are happy to file your insurance claims for you. We offer interest-free, flexible payment options that can be customized to help you pay for procedures or deductibles not covered by your insurance.